As the reign of King Zhou went on, he started to get comfortable. He was the king of a great dynasty, and he resolved to enjoy it—in some absolutely unbelievable ways. Zhou ordered the construction of the Pool Of Wine And Forest Of Meat, which was exactly what the name suggests. This was a massive, man-made lake filled with nothing but liquor. It was big enough for several canoes. In the center of the pool was a little island, dotted with trees. The tree’s branches, though, were skewers full of meat. Zhou and his concubines would pass their time drifting around in the canoes, drinking the liquor and plucking off meat. As you might expect, all that decadence didn’t make King Zhou particularly popular. When he saw the people rising against him, Zhou set himself on fire—because, apparently, he was better at coming up with ideas for parties than painless suicide methods. His pool of liquor was destroyed, and his successors, who were significantly less fun, banned alcohol across the kingdom. King Wu was a massive hulk of a man, obsessed with showing off his muscles. He valued strength above all else. He kicked all the book-reading nerds out of power and filled the highest ranks in his kingdom with musclemen, chosen for their ability to lift heavy things above their heads. That love for lifting heavy things would be his end. One of the strongest men in the kingdom, Meng Yue, challenged him to a cauldron-lifting contest. It seems that Meng won: While Wu was lifting his cauldron up, his knees snapped, and he collapsed. Wu spent about eight months slowly and painfully dying before his body finally gave up, which was bad news for Meng. As his reward for soundly beating the king in a powerlifting contest, Meng and his entire family were hunted down and killed. One of the major benefits of being the emperor was the harems. They were meant to be a little perk for ruling the country, but for Emperor Wu, they were more of a distraction. Emperor Wu dedicated most of his time to his harem. He would pull every pretty girl he could find out of her home to make her his concubine, especially preying on his officials’ daughters. This, for Emperor Wu, was important work—so much so that he made it a crime to get married until he was finished picking his concubines. 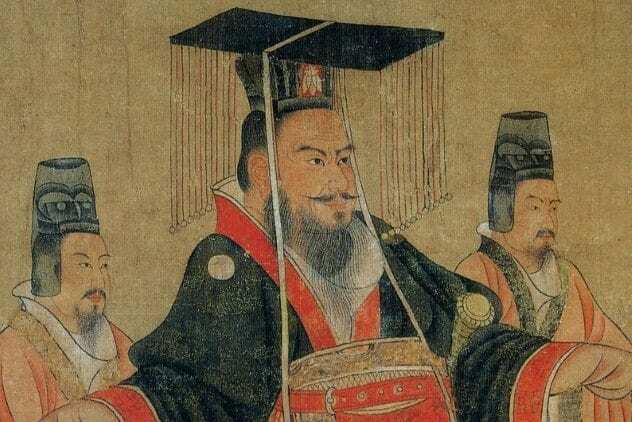 By the end, Emperor Wu had more than 10,000 women in his harem. To choose his partner for the night, he would ride around in a cart drawn by goats. When the goats stopped, he’d sleep with whichever woman they’d brought him to. This wasn’t just simple disinterest; education actively enraged him. In Gaozu’s time, most scholars were followers of Confucius, and they walked with pointy hats. He spent most of his time launching into curse-filled tirades about how awful they were. When he actually saw a scholar, he’d rip off the scholar’s hat and pee in it. When his advisor, Lu Jia, wrote a flattering book about his victories, though, Gaozu changed his tune. In one of history’s rare instances of someone admitting they were wrong, Gaozu set up Confucian schools across the empire and made it the state ideology. Traditionally, in Xuanzong’s time, emperors would release their concubines when their reign came to an end. Since it often only took a couple of years for someone to get fed up and assassinate the king, that meant that being a concubine was only a temporary position. Xuanzong, however, stubbornly refused to die. His reign went on for 44 years, and his harem just kept getting bigger. By the end, he had over 40,000 women. 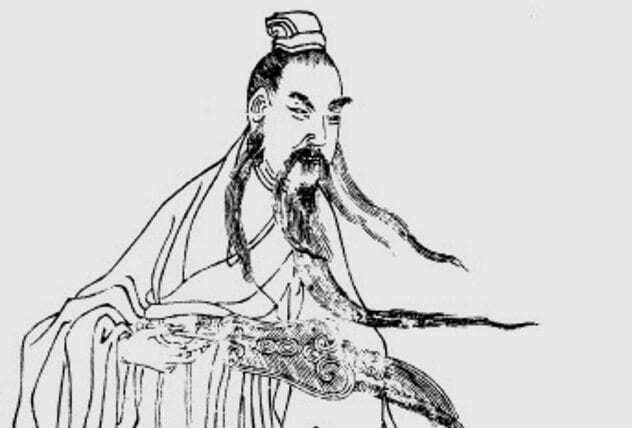 Xuanzong almost certainly didn’t have time to meet them all, so instead, they just sat around learning poetry, mathematics, and the classics and taking care of mulberry trees. That doesn’t mean he stopped adding to his harem, though. 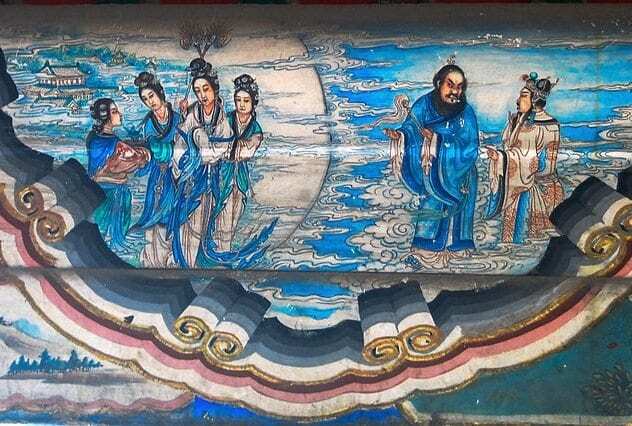 When he was 60 years old, Xuanzong made his own son divorce his wife so that he could make his daughter-in-law one of his concubines. 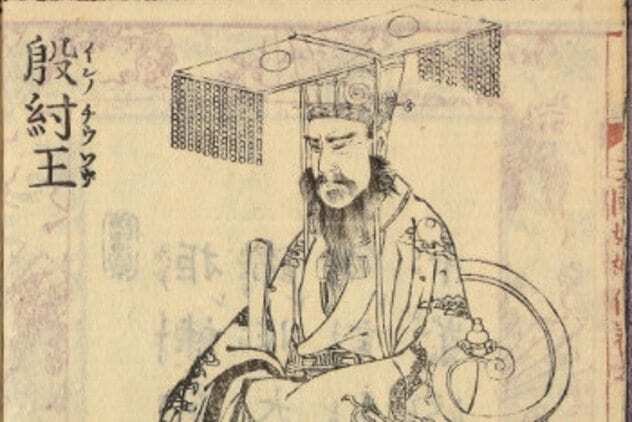 Emperor Houfei was nine years old when he ascended to the throne. Nine, as the Chinese learned, is a bit too young to be given absolute power over an empire—and Emperor Houfei went mad with power in the way only a child could. He managed to survive for five years before people finally got fed up and killed him. The beginning of the end came when he saw his general, Xiao Daocheng, sleeping naked. Houfei was captivated by the round bulge of Xiao’s massive belly, and he had a stroke of inspiration. He pinned a target to the general’s gut and used it as target practice. He would have used real arrows, but his attendant managed to convince him to use blunted ones. 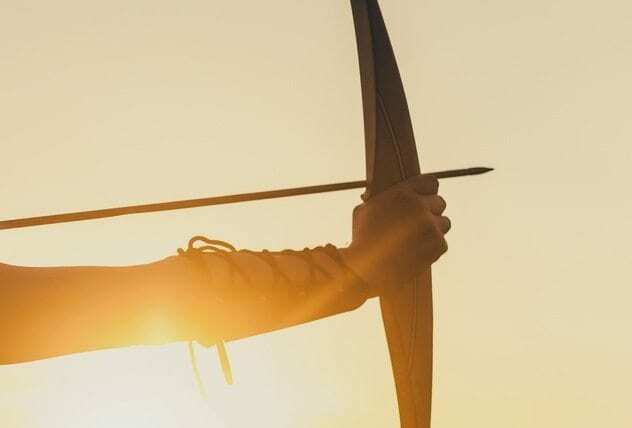 If he kept his general alive, his attendant told him, he could shoot arrows at his belly every day. Xiao got his revenge. He sent a man into Houfei’s room while he was sleeping to cut off his head. Xiao then took over the empire himself. Anyone who has flipped a Monopoly game in outrage has a kindred spirit in Emperor Jing. 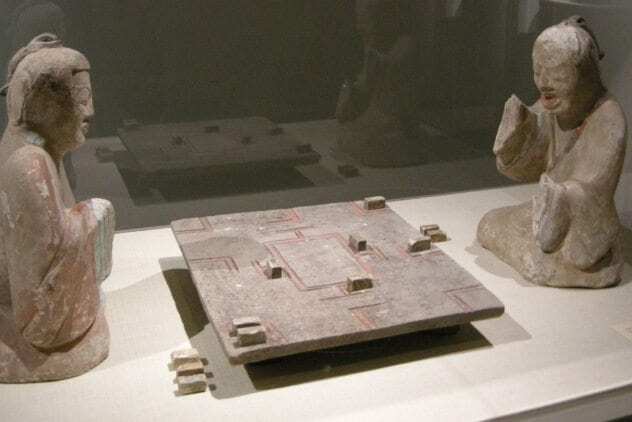 He lost his temper during a game of Liubo, an ancient Chinese game played on a heavy stone board. Emperor Jing was losing, and his opponent, apparently, hurt his feelings. He threw the stone board at his opponent’s head, hitting him so hard that he killed him. Unfortunately for Emperor Jing, his opponent was the prince and heir to the Wu Empire. The King of Wu vowed revenge. He united seven kingdoms and led a revolt against Jing. Emperor Jing, though, was better at war than he was at Liubo. He managed to crush the rebellion. Then he shrunk the kingdoms of those who dared to question him and his policy of killing anyone who beats him at a board game. Legend has it that that King Fu Sheng’s eye was pecked out when he tried to steal an eagle’s eggs. That might be a myth, but the man was definitely blind in one eye, and he was a bit sensitive about it. He was so paranoid that he believed anyone who said the words “missing,” “lacking,” “less,” or “without” must be mocking him—so he made it a crime. Anyone who uttered one of those words in his presence was sentenced to death. Murder was how Fu Sheng solved most of his problems. His astrologers advised him that if he didn’t change his ways, his reign would be short, but he didn’t really listen. Before his two years as king were up, he’d executed his wife, her father, and her uncle, and he was working his way through his own family. Wenxuan’s reign started off well, but as time went on, he started devoting less and less time to managing the state and more and more time to getting blindingly drunk. It didn’t take long before he was nearly perpetually drunk, and he completely lost control. He had a bad habit of taking all of his clothes off, putting makeup on his face, and wandering into his noble’s bedrooms. He’d even wander around naked in the winter. His worst habit, though, was getting drunk and killing people. One time, he stopped a woman on the street and asked, “What is the Son of Heaven like?” When she answered, “He is so crazy that he really cannot be considered a Son of Heaven,” he beheaded her. This wasn’t an isolated event. He drunkenly killed people so often that whenever he got drunk, his minister would bring him a condemned prisoner to murder so that he could get it out of his system before he took it out on the innocent. Zhengde became emperor when he was 13 years old, and he wasn’t quite done with the days of childhood. He still liked to make believe, and because he was the emperor, everyone else had to go along with it. He would force his ministers to dress up as merchants so that he could pretend he was a commoner visiting their shops. This, under Emperor Zhengde, was an imperial duty. Anyone who would not play make-believe with him was removed from their post. He built a 200-room building called the “Leopard Quarter” next to the imperial zoo. He and his friends would spend their time there drinking and hunting the animals in the zoo, pretending they were in the jungles chasing wild game. 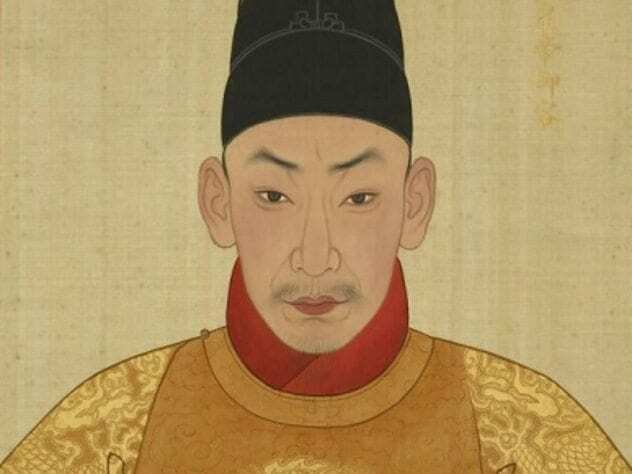 Zhengde also told his people that he had an identical double named General Zhu Shou. He would give orders for them to pass on to Zhu Shou. Then he would change his clothes and come back out, now forcing everyone to call him Zhu Shou. His men would have to tell him his own orders, and he would pretend to be surprised. For an imaginary person, Zhu Shou was actually a pretty capable general. Zhengde stayed in power until he turned 29. In the end, though, the liquor got him. Drunk out his mind, he fell out of a boat. The cold water left him with an illness that ended his life.